1. Always provide full recipient and return addresses. This includes first and last names or departments as well… sending out mail without a recipient designation looks sloppy and you run the risk of it being returned to you as undeliverable. 2. Mail Services has a limited amount of boxes and envelopes that may be used for business purposes, but we prefer you to pack and address your own shipments. We are more than happy to help, but if you bring a shipment in to mail, we will not let you leave until the box or envelope has been sealed shut in your presence. 3. Know specifically how fast you want your shipment to travel. Ambiguous instruction such as “I want it there as soon as possible” can end up costing you more than you intended. 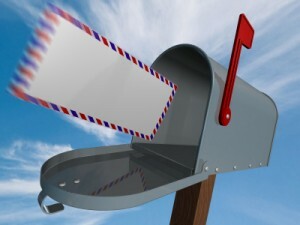 “As soon as possible” can mean “sometime next week” to one person, and it can mean “first thing tomorrow morning” to others, and failing to specify a date can end up being VERY costly (As a point of reference, it takes a correctly addressed and formatted stamped letter between 5-7 days to travel from Oregon to Massachusetts). 4. If your department has multiple index numbers (usually grant-funded projects and departments are the ones that have the most) please help us out, provide us with an index number. The index number can either be written or typed directly on the envelope or box label (underneath the return address on the left side) or can be written on a sticky note and attached or bundled to the corresponding shipment. Failing to provide a good index number could result in your mail being delayed or returned to you for the necessary information. 5. Last, but not least, remember to get your mail to Mail Services before the cutoff time so that it can go out the same day. Access a list of our deadlines and and cutoff times here!